Located in Izmit, Emexotel Kocaeli is near the bay, within a 10-minute drive of Gayret Ship Museum and Yeni Cuma Mosque. 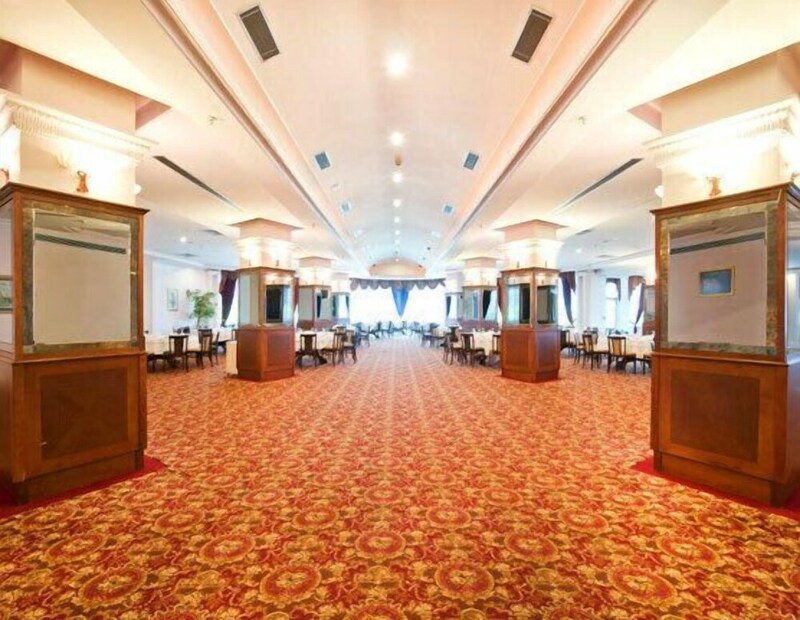 This 5-star hotel is 2.8 mi (4.5 km) from Fevziye Mosque and 3.1 mi (5 km) from Izmit Clock Tower. Make yourself at home in one of the 147 guestrooms featuring minibars and flat-screen televisions. Complimentary wireless Internet access keeps you connected, and satellite programming is available for your entertainment. Private bathrooms with bathtubs feature complimentary toiletries and hair dryers. Conveniences include safes and desks, and housekeeping is provided daily. Pamper yourself with a visit to the spa, which offers massages and body treatments. You can take advantage of recreational amenities such as a health club, an outdoor pool, and an indoor pool. Additional amenities at this hotel include complimentary wireless Internet access, concierge services, and babysitting/childcare (surcharge). Enjoy a meal at the restaurant or snacks in the coffee shop/café. The hotel also offers 24-hour room service. Relax with a refreshing drink from the poolside bar or one of the 2 bars/lounges. Buffet breakfasts are available daily from 7 AM to 10 AM for a fee. Featured amenities include a 24-hour business center, complimentary newspapers in the lobby, and dry cleaning/laundry services. Guests may use a roundtrip airport shuttle for a surcharge, and free valet parking is available onsite.